Home Pages - What Are They? One of the most basic terms that everyone learning how to use the web needs to know is homepage. This term can mean a few different things on the web, depending on what context it's being discussed in. If you think of a home page serving as the basic introduction and site index (overall home base of a website that shows the site structure, navigation, associated pages, links, and all other elements related to the infrastructure of a website) of the entire website it represents, you would be correct. A home page should have a few basic elements in order to be truly useful; these include a clear home button or link that helps users find their way back to the home page from anywhere in the site, user-friendly navigation to the rest of the website, as well as clear representation as to what the website is all about (this could be a home page, an About Us page, an FAQ page, etc. ).We'll go through this and other "home page" definitions and usages online in detail throughout the rest of this article. The main page of a web site is called the "home page". An example of a home page would be Lifewire.com. This page displays navigational links to categories that are part of the site as a whole. This home page gives the user an anchor point from which they can choose to explore the rest of the site and then return to as a starting place when they have found what they were looking for. If you think of a home page as a table of contents, or index, for the site as a whole, it gives you a good idea of what a homepage is supposed to be. It should give the user a detailed overview of what the site is about, options for learning more, categories, sub-categories, and common pages like FAQ, Contact, Calendar, as well as links to popular articles, pages, and other information. The home page is also the place most users tend to utilize as a search page for the rest of the site; thus, a search feature is usually available on the home page as well as all other main pages of a website for easy user access. The page that your browser opens up after it is first initialized can also be called a home page. When you first open up your web browser, the page is pre-set to something that the user might not necessarily prefer - usually it's something that the company behind the web browser actually pre-programs. However, a personal home page can be anything that you decide you want it to be. Every time you click on the Home button on your browser, you are automatically directed to your home page - which is whatever you designate it to be. For example, if you set your browser to always open with your company's web site, that would be your personal home page (for more on how to do this and customize your home page to whatever website you'd like, read How To Set Your Browser's Homepage). You might hear some people refer to their personal websites - and that could mean personal or professional - as their "home page". This just simply means that this is their site they have designated for their online presence; could be a blog, social media profile, or something else. For example, say Betty has created a website devoted to her love of golden retriever puppies; she might refer to this as her "home page". All web browsers have a Home button in their navigation bars. When you click the Home button, you're taken to the home page that is already designated for you by the organization behind your web browser, or, you're taken to the page (or pages) that you have designated to be your home page. Anchor page, main page, index; home pages, go home, homepage, front page, landing page....these are all similar terms that mean the same thing. 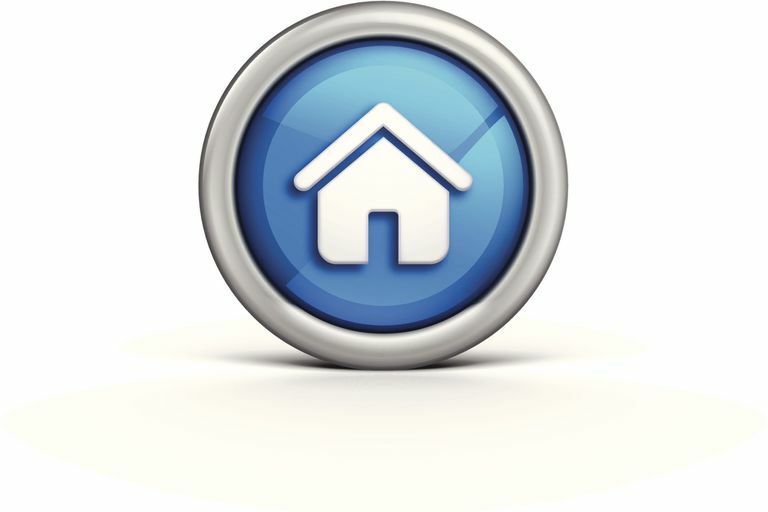 For most people, in the context of the web, the term home page simply means "home base". It's a basic foundation concept of how we use the web.